Latest adaptation of Lew Wallace's 1880 historical novel. The big question is how does the chariot race compare to that of the '59 movie? Well it can't compare in terms of spectacle or filmmaking skill, but it is well put together nonetheless, falling somewhere between the pod race of Star Wars; The Phantom Menace and the vehicular mayhem of '70s exploitation classic Death Race 2000. Many have labelled this 2016 'blockbuster season' as the worst ever, blaming the abundance of sequels and remakes on offer this year for Hollywood's creative and economic failings. 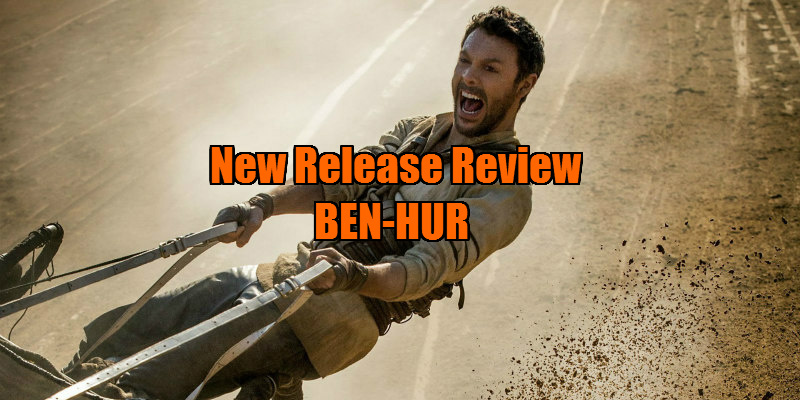 Few movies have drawn such pre-release scorn as Timur Bekmambetov's adaptation of Lew Wallace's 1880 novel, Ben-Hur. "How dare you remake a classic!" has been the refrain from those who think of Ben-Hur purely in terms of the iconic 1959 William Wyler directed, Charlton Heston starring epic. Of course, Wyler's version was a remake itself, a similarly epic in scale version having been produced in 1925, following on from a 1907 short. The producers of this latest version may be relying on the brand recognition implanted by those many Sunday afternoon screenings of the Wyler movie, but Bekmambetov's movie should be taken on its own terms regardless. The titular hero is played here by Jack Huston, and in this version his nemesis Messala (Toby Kebbell) has been changed from a childhood friend to a somewhat improbably adopted brother. Ben-Hur is a Jew, while Messala is a Roman, but that doesn't present itself as a problem until both become young men, and the latter grows resentful of being constantly alienated by his adoptive community. Messala joins the Roman Army and returns to his home of Jerusalem three years later, now the site of an insurrection by followers of a pontificating carpenter named Jesus (Rodrigo Santoro). When Roman governor Pontius Pilate (Pilou Asbaek) arrives in Jerusalem, Ben-Hur and his family are discovered to be sheltering a young zealot wanted by the authorities, and Ben-Hur is taken into slavery. The rest of the plot will be familiar to anyone who spent a lazy Sunday on the couch watching the antics of an oiled up Charlton Heston, though here Ben-Hur is taken under the wing of a horse-breeding Sheik (Morgan Freeman) rather than a Roman Consul. As such, there's an inevitable feeling of 'ticking the boxes' throughout this latest version. The big question is how does the chariot race compare to that of the '59 movie, considered one of Hollywood's greatest ever set-pieces. Well it can't compare in terms of spectacle or filmmaking skill, but it is well put together nonetheless, falling somewhere between the pod race of Star Wars; The Phantom Menace and the vehicular mayhem of '70s exploitation classic Death Race 2000, with heads crushed under wheels and hooves, and dashed against arena walls. The other major set-piece, the galley slave sequence, is equally impressive, as Bekmambetov does an impressive job of conveying the claustrophobic mayhem of the scenario. Compared to the rest of his CV, Ben-Hur is certainly the Russian director's finest work. With a running time roughly half the length of the '59 version, 2016's Ben-Hur's biggest obstacle comes in its attempt to compress the story. 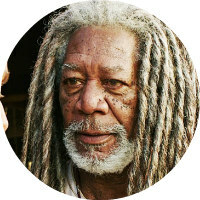 In this version, Ben-Hur is a slave for roughly 20 minutes, so we never really get the sense of five years of slavery taking its toll on the man. Back in the '70s and '80s there was a trend among TV networks to broadcast event mini-series based on bible tales across two nights, and it's in this format that this Ben-Hur would most likely have prospered, both artistically and, given its disastrous turn at the US box office, financially. Commendably, there's a lot less blatant CG on display here than you might imagine, and the Italian locations make for a convincing double for the story's Middle Eastern setting. Of course, Hollywood is still reluctant to cast actors beyond the US and UK, so we have the inevitable unintentionally amusing moments provoked by Romans and Israelites with Liverpool and Glasgow brogues. There's also a lot less religious proselytising than you probably expect, given some of the producers involved and the film's Christian Rock heavy marketing. JC makes a couple of brief cameos, but plays no real role of substance in the story. Faith based movies have long been an easy target for critics due to their shoddy production values and bigoted messages, but the likes of the excellent Kevin Reynolds' directed Risen and the French production Valley of Love suggest 2016 is the year Christian cinema grew up. 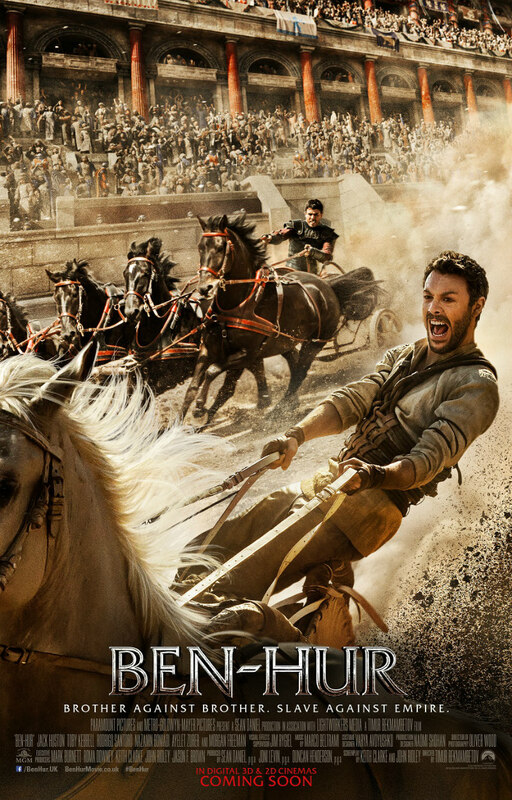 Ben-Hur doesn't come close to Risen as a piece of cinema, but if you're so inclined it might serve as a sufficient appetiser on a Sunday afternoon double bill with the Reynolds' film. Ben-Hur is in cinemas September 7th.